Databases searched include census records, tax and assessment records, employment records, military records, voter registrations and more. Don't miss this chance to look for your ancestors. Search Ancestry.com Occupational Records for free this Labor Day! I recently discovered a new (to me) website when searching for my former daughter-in-law's Scottish ancestors. 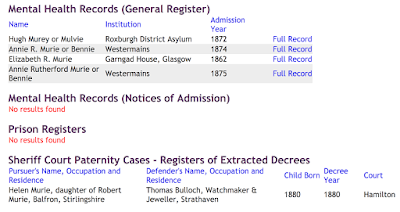 "The aim of this website is to help you trace your Scottish family tree and find out more about the lives of your ancestors by helping you access historic documents that are here in Scotland. 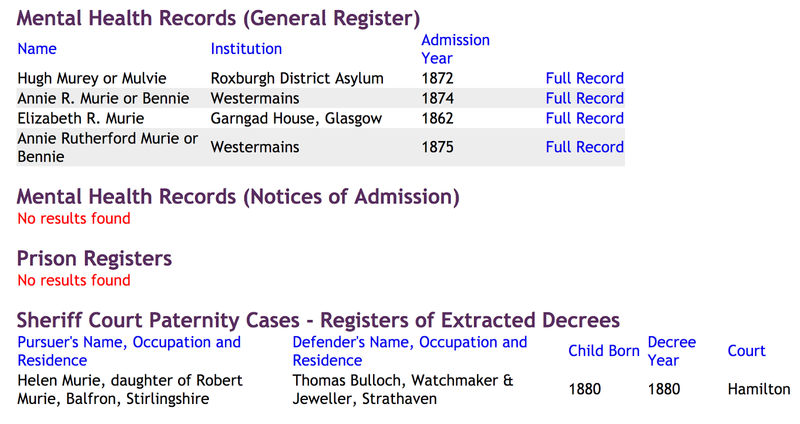 We have a wide range of indexes from birth, marriage, death and census records to mental health and prison records. You can search all of our indexes from this page or you can go to our 'Record Sets' page and search by individual category. Find out exactly what we have indexed so far on our coverage page." If you have Scottish ancestors you may want to give this site a look. There is a lot of discussion about immigration in America right now. Tempers have flared, and different groups hold various strong opinions. One of my Dutch immigrant ancestors was Hendrick Meesen Vrooman born ca 1617 in Holland. Hendrick Bartholomeus (Meesen) and 5 children sailed to New Netherland (New York) on D'Eendracht (The Concord) in 1664. You might also like to join our Vrooman Facebook Group to share stories, and ask for help with a challenging Vrooman ancestor. Hendrick was 47 years old and with him were his five children including his daughter, my 8th great grandmother Eva Hendrickse Vroomn. Eva was 14 years old. Hendrick was a widower, his youngest child was only 5 years old. Their ship, De Eendracht, arrived in the harbour 19 July 1664. 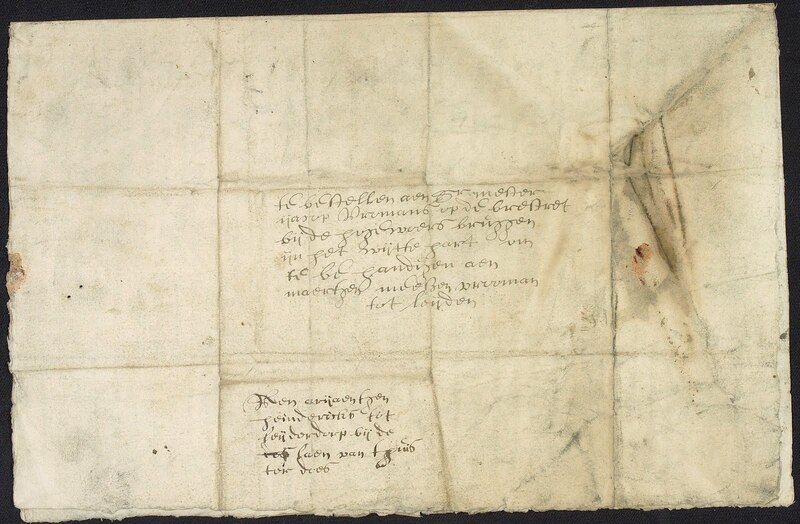 Six months after his arrival, Hendrik wrote a letter to his family in Leiden: his brother Jacob, his sister Maartje and his mother Ariaantje. In it he described the new land he has come to, and asked for items from home such as silk thread. It has been a good summer there. Very fine corn has grown there and the cultivation was good and the land still pleases me. At snechtendeel [Schenectady and the surrounding area] the land is more beautiful than I have ever seen in Holland. In 1690 Hendrick, his son Bartholmew aged 30, his son Adam with his wife Engeltie and their six children (Barent 11, Wouter 9, Peter 5, Christina 4, Hendrick 3 and a male infant) were living in Schenectady. Then came the Indian and French attack on Schenectady on the cold snowy evening of Saturday February 9, 1690. This photo taken in 1916 shows William Elgie and his wife Mary Louise Facey with their children Harry (b. 1907), Anne (b. 1912) and baby Florence (b. 1914). This photo is labelled "Miss Bradbury (Ingersoll) & Annie Edythe Elgie Mitchell"
Unfortunately we have Annie Edythe Elgie married to Robert Bragg so we cannot explain the reference to her as Mitchell. 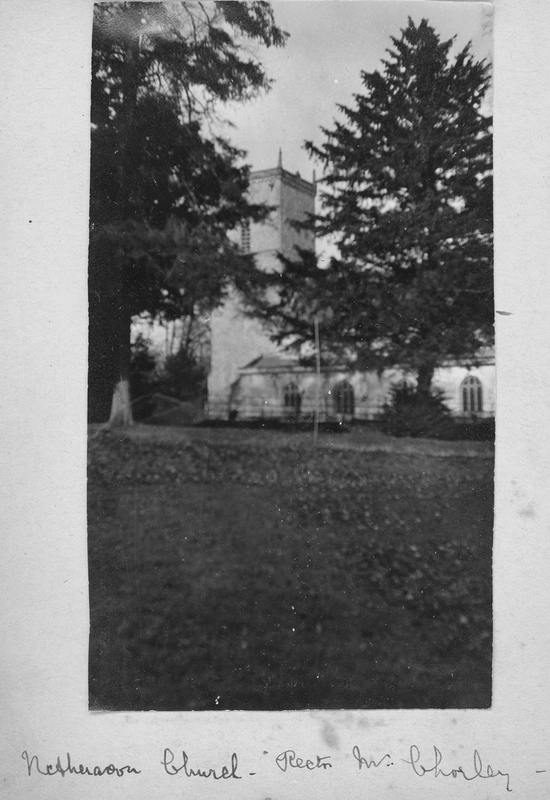 There was one more tiny photo, which looked like it had been torn from a larger one, tucked into the plastic sleeve with the photo dated 1916. This photo is labelled "Grandma Facey, Annie Edythe Elgie Mitchell". 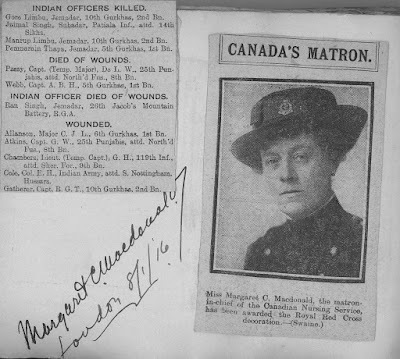 Grandma Facey is Margaret Wilford, wife of Samuel Facey. Annie Edythe was her granddaughter and daughter of William Elgie and Mary Louise Facey. 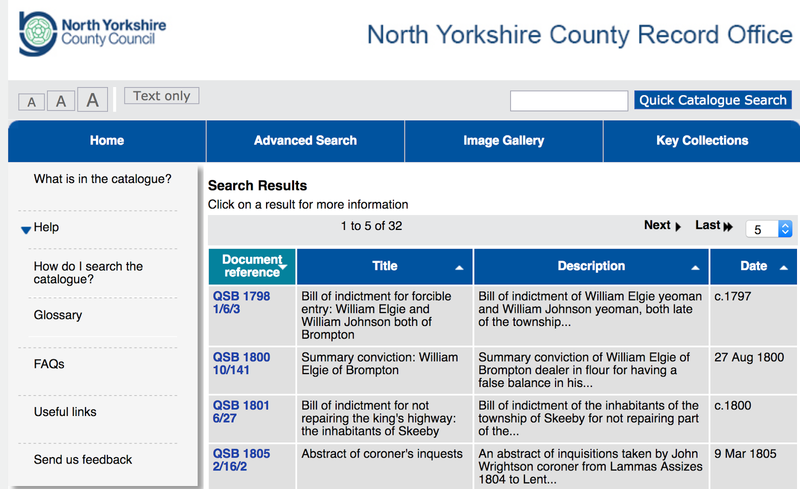 Recently I discovered a goldmine of information my husband's Yorkshire Elgie ancestors. 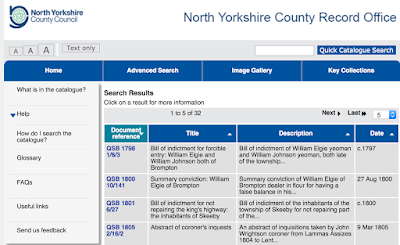 His Elgie ancestors lived in North Yorkshire, and while researching that area I discovered the North Yorkshire archives website. 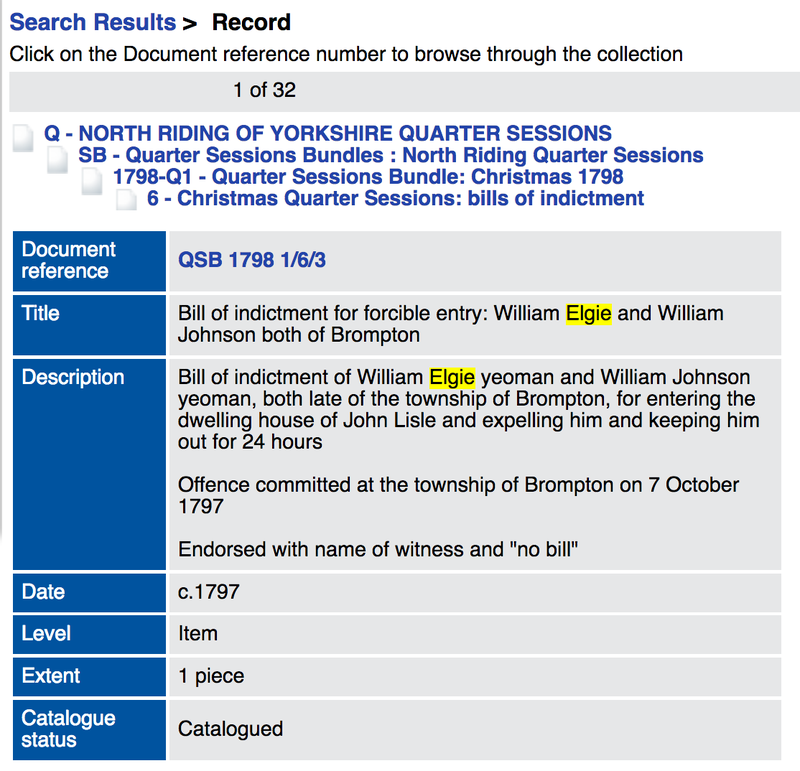 A search of the North Yorkshire County Record Office online catalogue using their "Quick Catalogue Search" box resulted in 32 "hits" for the surname Elgie. Clicking on each one in turn brings up more details, including reference numbers which are needed to order copies of the full document. I have found several records for my ELGIE family that I would like to order from your online index of your catalogue. I was not able to find how to submit my request for copies. I am happy to have digital copies sent by email but I can accept them in any format you use. Can I send you a list of document numbers by email to order copies? If you would like to order copies, payment can be made by cheque payable to North Yorkshire County Council and sent to us at The County Record Office, Malpas Road, Northallerton, North Yorkshire DL7 8TB. We can also accept payment by credit or debit card (except American Express), but we advise that you let us know card details by post or telephone, as we cannot guarantee the security of information sent electronically. Our telephone number is 01609 777585. Next I mailed (old school postal) my request along with my credit card information and within a few weeks I had copies of five documents ranging from 1797 to 1822 for the Elgie ancestor of interest. The cost for those five documents was $20.00 Canadian. How amazing is that! 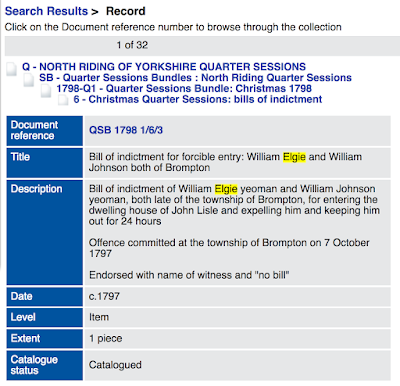 And from the documents I learned, among other things, that my husband's 5th great-grandfather William Elgie was in debtor's prison in York when he requested a pardon so he could leave prison and repay his debts. 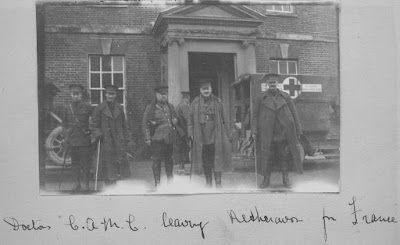 If you have North Yorkshire ancestors you should give this site a good look. The exact date of Hans Coenradt’s arrival in New Netherland is not known but we know he would have been among the refugees fleeing Recife Brazil in April 1654. Presumably the family continued on to New Netherland soon after arriving safely in the Netherlands. The first record found indicating he was in New Netherland is dated in Albany (Fort Orange) in early December 1655. [i] So sometime between April 1654 and December 1655, Hans (and probably his entire family) arrived in New New Netherland. Many researchers believe that Barentje stayed behind in the Netherlands and arrived in New Netherland for the first time in 1660. Records reveal that Barentje and two children left Amsterdam between 22 December 1659 and 8 January 1660 on board the ship de Trouw. 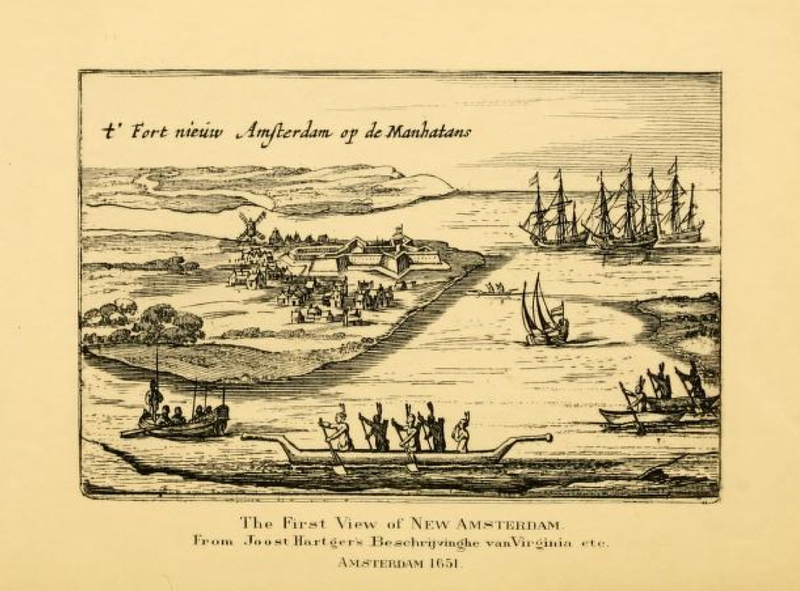 The ship sailed into the harbour at New Amsterdam some time before 6 June 1660. [iii] However it is unlikely that this was her Barentje’s first trip, since it occurred at least five years after her husband’s arrival. Barentje more than likely returned to the Netherlands on either business reasons or to visit family, and this 1660 arrival is her return voyage. We find records of Barentje in New Netherland as early as August 1658 when she was called a whore by Pieter Jansen. Her sister defended her vigourously and Pieter took her sister to court in New Amsterdam. [iv] This suggests that the 1660 voyage was not her first time to New Netherland. 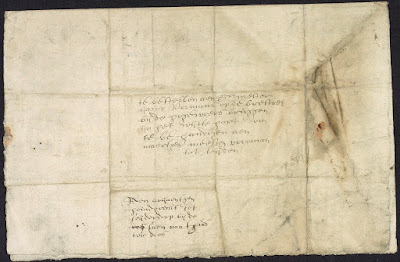 The late Pim Nieuwenhuis’ abstracts from notarial documents in the Amsterdam Archives reveal that on 16 August 1659, Barentje was in Amsterdam conducting business on behalf of her sister Teuntje. [v] It seems obvious that Barentje, her legal affairs in order, then booked passage on the next ship to New Netherland – de Trouw leaving after 22 Decemember 1659. "Harry Elgie at Lot 24, Concession 7, East Nissouri. the Will Elgie Farm, now Harry Elgie Farm"
As near as I can tell, the Harry Elgie in this photo is Harry the son of William Elgie and Mary Louise Facey. 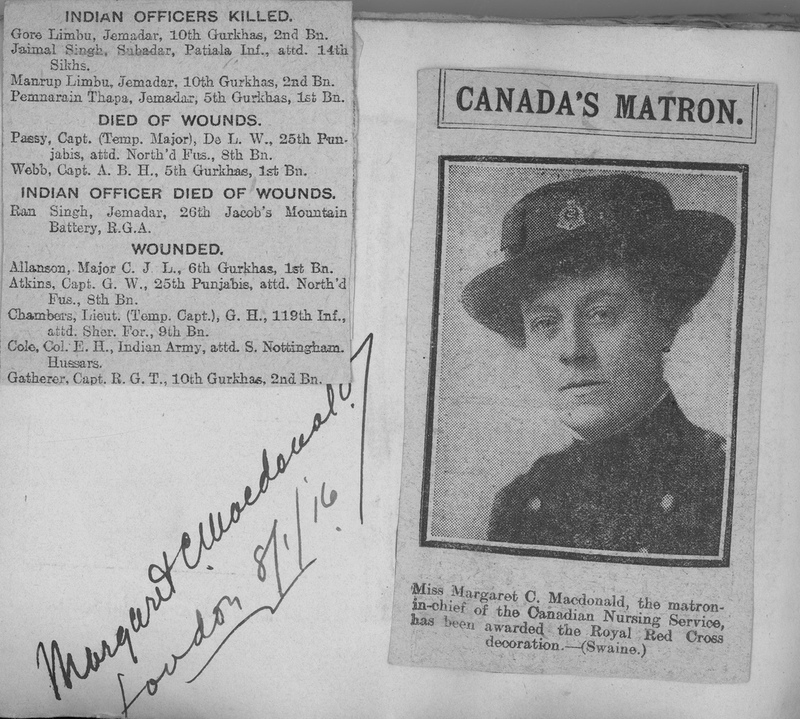 Harry was born in E. Nissouri in 1907, and married Madge Brown in 1936. On back of photo is this notation: "Sam and Margaret Facey. Grandpa & Grandma Facey." Underneath is a notation that seems to read "Of Anne Elgie Mitchell"
I am not sure what the second notation refers to, because I only know of two Anne Elgie women - one married Alexander Pelton, the other married Robert Bragg and was the mother of Roberta who inherited these photos from her Aunt Florence. Irish Catholic Church Records Coming Soon! 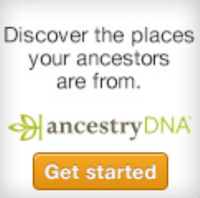 Good news for those of us searching their Irish Catholic ancestors! The National Library of Ireland has announced that it will give free online access to its archive of Catholic Church records, the earliest of which dates back to the 1700s. 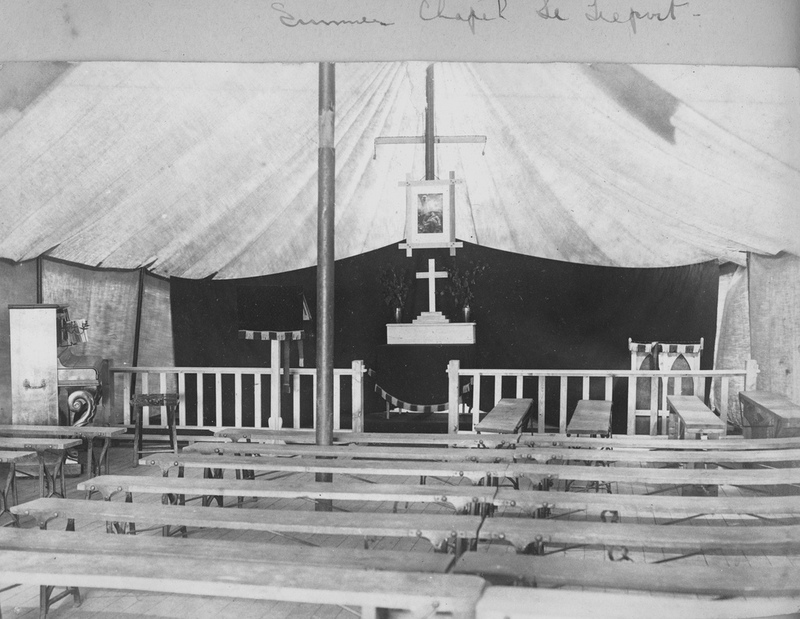 They cover 1,091 parishes throughout Ireland and are mainly baptismal and marriage records. This new project adds to the over 2.5 million images of Irish births, deaths and marriage records from the General Register Office (GRO), released online in September 2015. The earlier set of records is available on www.irishgenealogy.ie The records cover births from 1864 to 1915, marriages from 1882 to 1940 and deaths from 1891 to 1965. Marcelin and Francine Dumoulin went to milk their cows in a meadow above Chandolin in the Valais canton on August 15, 1942. They left their seven children back at home, expecting to return in a few hours. They never came back. Their youngest child was 4 years old and it was the first time Francine had gone with her husband. In the past she'd either been pregnant or with a child too young to be left with older siblings. Searches failed and eventually were called off. The children were farmed out to various relatives and never knew what had happened to their parents. 75 years later, a shrinking glacier revealed the bodies of a man and woman lying near each other, perfectly preserved in ice. Identity papers proved who they were - Marcelin and Francine Dumoulin. 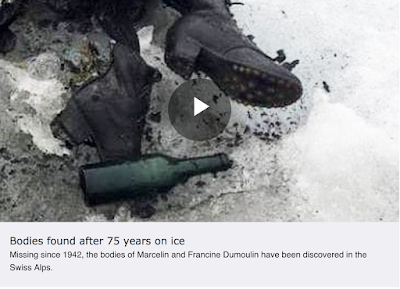 Authorities believe they fell into a crevasse and were hidden for decades until melting snow and ice revealed their bodies. 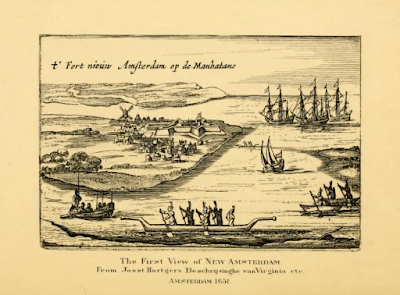 Do You Have New Netherland (NY) Ancestors? If you have New Netherland ancestors, come join us on the New Netherland Settlers Facebook group. On September 19, 1609, the East India Company ship Halve Maen, commanded by Henry Hudson, an Englishman working for Dutch businessmen who were seeking a passage to the Orient, reached the present-day Albany New York area. It was not until 1624 that the first colonists arrived in New Netherland (now New York) to settle at Fort Orange (present day Albany), the mouth of the Connecticut River, and High Island (Burlington Island) in the Delaware River. English colonists were in Virginia and Plymouth, and England was claiming the northeastern Atlantic Coast. They both laid claim to Long Island, where the Dutch took hold of the western end and, later, the English settled on the eastern end. A nice photo identified as "Grandpa Facey (Samuel Facey), Mrs. Henry Haves, Mrs Haves (Granny) and Grandma Facey (Margaret Wilford)"
Redigon Facey, a daughter of Samuel Facey and Margaret Wilford, married Robert Haves and this could be the connection. FreeCEN offers a free-to-search online database of the 19th century UK censuses. Transcribed entirely by volunteers, we have more than 32 million individuals available on our website that anyone can search without having to create an account. The new ‘FreeCEN2’ website (https://freecen2.freecen.org.uk) will launch on Monday 31st July 2017 with all of the records that the current website holds, but with a fresh new look and feel in-line with Free UK Genealogy and FreeREG. FreeCEN, FreeREG and FreeBMD are projects by Free UK Genealogy, a registered charity that promotes free access to historical records. FreeREG underwent this process in 2015, and FreeBMD is due to begin its renewal later this year. What Baker heard was the largest explosion since before the Atomic Bomb. 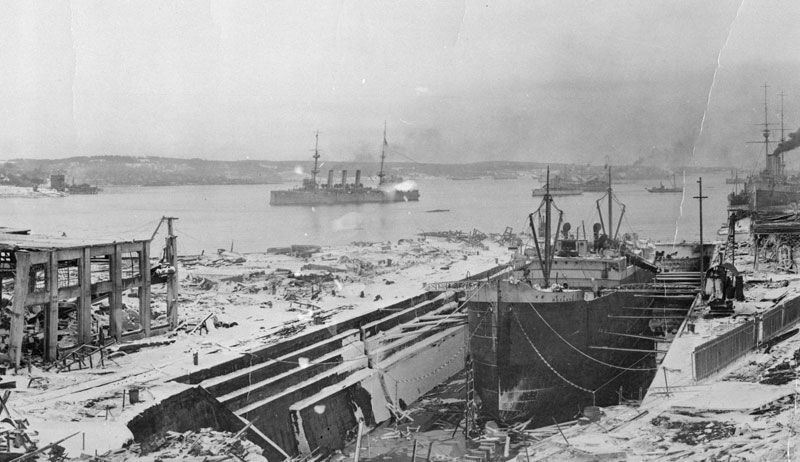 Sailors 150 miles out to sea heard the blast. On land, people felt the jolt 300 miles away. The shock wave demolished almost everything within a half-mile. An outbound Belgian ship, the Imo, collided with an inbound French freighter, the Mont-Blanc. The freighter carried 2,925 tons of high explosives, including 246 tons of benzol, a highly flammable motor fuel, in drums lashed to its deck. Passersby stopped to watch the fire but when the explosion occurred the town of Halifax was devastated. There were 2000 known fatalities and over 9000 people were injured. Each image has been designated an "R" for Recto or a "V" for Verso plus a number. Recto is the right-hand side page of a bound book while Verso is the left-hand side page. 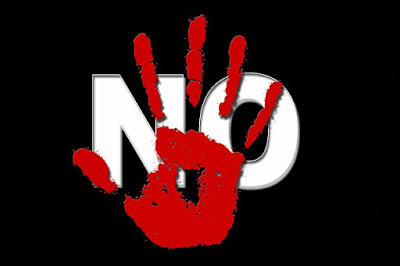 Genealogists Heads Up re Proposed Bylaw: No Photographs in Cemetery! Thanks to Murray Pletsch for bringing this to our attention. Polite action is called for - tell them NO! implementing a bylaw that would ban photography at all municipal cemeteries. prior permission of the Manager." of Waterloo without prior permission. or denying permission, only that the manager would decide. is need to make this happen. photography is on page 113. Olive Tree Genealogy is very excited and honored to be chosen as one of Family Tree Magazine's Top 101 Genealogy sites for 2017. Olive Tree Genealogy was chosen in the category Big Genealogy Websites along with FamilySearch, Heritage Quest, Access Genealogy, Library of Congress, NARA, Rootsweb and US GenWeb. Wow! I'm super thrilled to be in such esteemed company! Each year, Family Tree Magazine publishes the 101 Best Websites for family history to guide genealogists to the top websites where they can make family history research progress, and to honor the individuals and organizations who create those sites. This year, they focused on websites that provide genealogy information and records free to researchers. 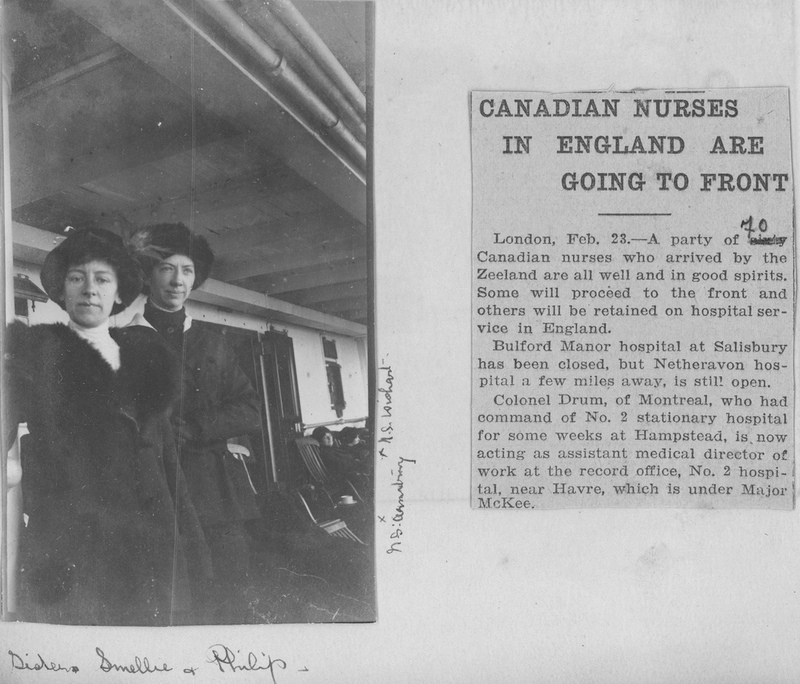 The Canadian Expeditionary Force WW1 database has been updated and now includes full files of soldiers up to Box 7834 and last name Pilkey. To date 461,575 of 640,000 files are available online for researchers to freely use. This photo is labelled "taken 1914" and the individuals are identified as "Fred & Annie (Facey) Rogers at Grandpa Facey's Farm" The reference to Grandpa Facey refers to Samuel Facey (1857-1930), my mother-in-law's grandfather. This photo is of my husband's great-grandparents Mary and William Elgie, and their daughters Florence (1914-1996), Annie (1912-1979) and Luella (1917-2009). Luella was my husband's grandmother. Annie married Robert Bragg and she was the mother of Roberta who passed this family treasure trove on to my husband's mother. The box was found in Florence's home after she died in 1996.